Emmy and Jeff live in a black and white world. But one week Monday arrives with a splash of yellow and each new day brings a new colour into Emmy and Jeff's lives. Join them as they explore all the colours in the rainbow! A wonderful introduction to colour for young children. "Colour My Days looks at first like a colouring book awaiting the crayon; turn the pages, however, to see Emmy and Jeff and their surroundings brought to life by a succession of colours. Each hue boasts its own distinct character, and the story is saturated with gentle, involving wit." "A fantastic way to learn the colours of the rainbow and also the days of the week., So many things to talk about on each page." "The introduction to colours is completed in a fun and imaginative way. 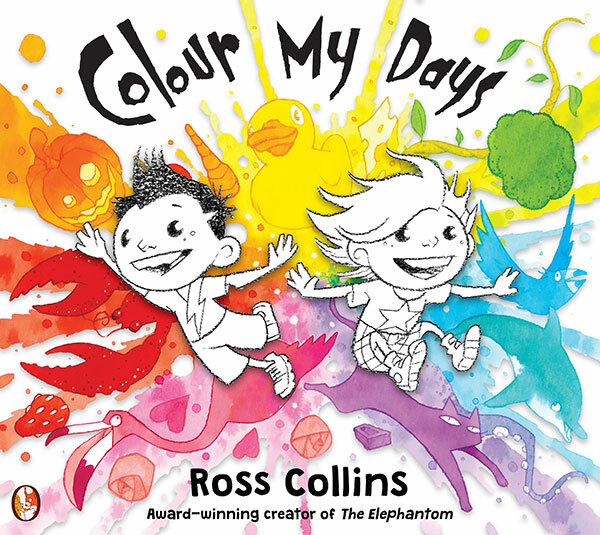 This book is not only a great one for children who are learning about colours and colour names but also great for keen, young readers...The more I read it, the more I love it and the teacher in me keeps connecting the book to discussions, emotions, writing opportunities and art projects."